The Certificate in food Preparation and Cooking is a Full time/ Part Time City and Guilds accredited course which spans over a 9 month period. 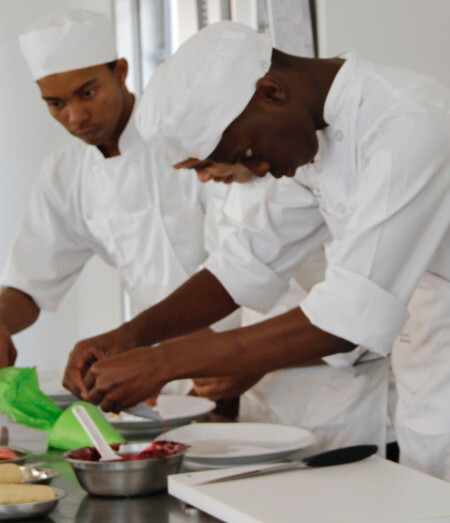 This course provides you with the basic cooking techniques required for an entry level chef position. It not only covers essential health and safety and first aid, but also delves into various cooking techniques. This course not only covers classical French training but also focuses on modern techniques. The theoretical and practical training is comprehensive and requires dedication from any new student.